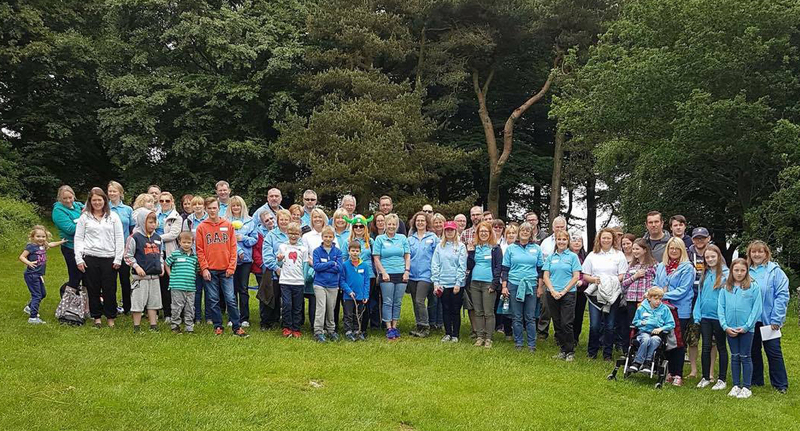 Beat SCAD’s annual walk will be held in Leicestershire on Saturday 30 September. It’s a great opportunity for spontaneous coronary artery dissection survivors, families and friends to meet, network and support each other, as well as to raise money to help Beat SCAD continue its work. Dr David Adlam, who is leading the UK research, will be attending and will give a short talk about the research after the walk – don’t miss it! Bosworth Battlefield Heritage Centre and Country Park. The Park is close to the M1, M6, M42 and M69. Buses run from Leicester to Market Bosworth, which is three miles away and taxis are available. The Park includes a network of surfaced trails that radiate from the famous Bosworth Battlefield Visitors Centre. With panoramic views of the wonderful farmed landscape, the trails connect with the Ashby Canal and the Battlefield Railway at Shenton Station. There is a choice of walks from 1km to 5km depending on your stamina and love of walking. Click here for an overview of the area. The Beat SCAD team will be at the venue from 12pm so please bring a picnic lunch and join us before we set off for the walk. Walk: The walk will start at 2pm. The venue closes promptly at 5pm, but we will still be able to use the picnic area after Dr Adlam’s talk. There is a registration fee of £10 per adult (children under 16 go free). The registration fee is non-refundable. Click here to register. We need to raise money to continue research into SCAD, so we want to use this event to raise money for Beat SCAD. Donate on the Beat SCAD Total Giving walk fundraising page. Please ask family, friends and work colleagues to contribute. Challenge yourself and your family and friends to do a sponsored walk and set up your Total Giving own page. Donate directly to Beat SCAD. Ask your employer for match funding. Ask local companies, work colleagues or employers for donations.